Nestled between boundary fences at the rear of the property, and adjacent to an existing tennis court, the small pavilion provides a new break-out space to the family home. 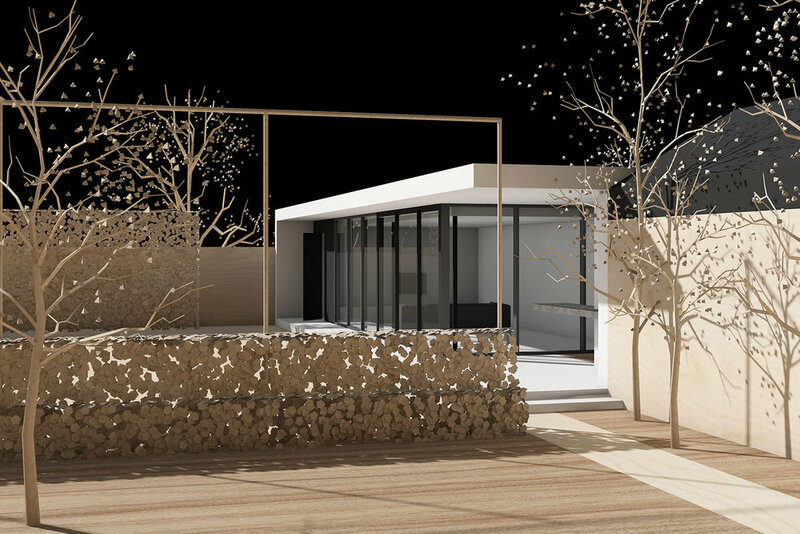 As a simple box design, faces have been shifted and volumes subtracted to create a cohesive, light-filled and minimal solution connecting a shed, rumpus room and outdoor cooking area. The northern face of the ‘box’ is set back to create an external walkway linking the three areas and an overhang for shading. Floor to ceiling glazing provides a light-filled internal space and views to the outdoor cooking area and tennis court. Adjacent to the pizza oven, a volume is subtracted from the ‘box’ to create a small courtyard, assisting ventilation to the cooking area.